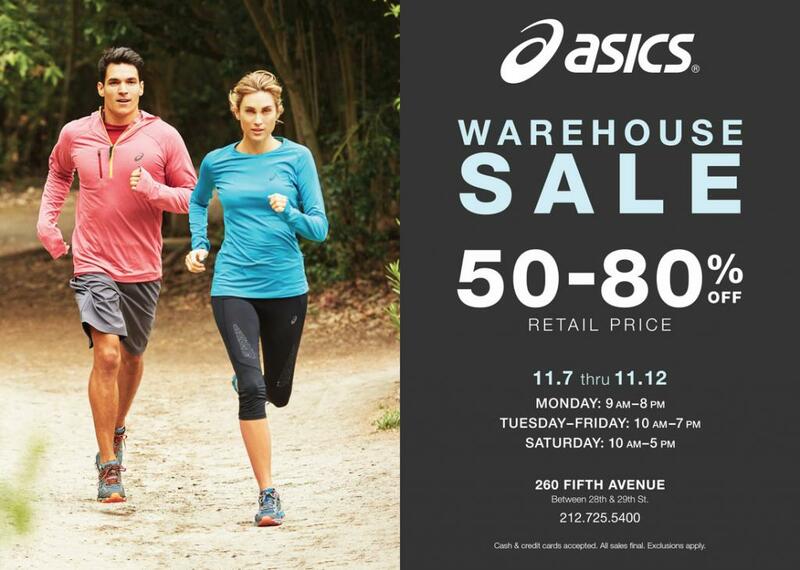 The ASICS warehouse sale is here! Get 50-80% off retail prices over this six day event, hosted by 260 Sample Sale on Fifth Avenue. Cash and credit card accepted.